At Podere Il Pino we are used to rent our apartments for those couples who have chosen to celebrate their wedding in the beautiful scenario of Tuscany. Here's a wedding planner, who may be helpful to you. Driving through the beautiful Tuscan hills it's great, and it lets you discover little lovely hamlets and be relaxed about when to go back to your apartment. Here's a link to Italy Car Rental online car rental service at cheap price making your journey easy. While spending your time in Tuscany, you may decide have a little trip to the Capitol City of Italy, Rome. Here'a travel guide with complete info about attractions, people, history, government, geography, culture, itineraries and trip guides. 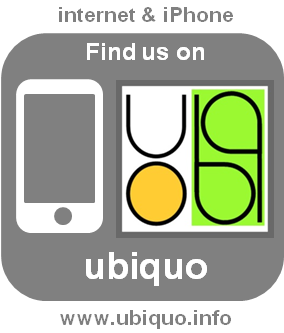 Would you book your apartment in Podere il Pino via the iPhone App Ubiquo? Click on the logo to be redirected to our page!